Opel is to conduct research into an intelligent charging infrastructure to support future electro-mobility as it ramps ups its EV development. The carmaker is planning to have four ‘electrified’ models in its portfolio by the end of 2020 – two of which will be the electric Corsa and plug-in hybrid Grandland X – while by 2024, there will be electrified variant of each model in the Opel line-up. Now, Opel has said it will deploy more than 160 charging stations at the Engineering Center at its Rüsselsheim headquarters in Germany and the Test Center in Rodgau-Dudenhofen, with installation to start in a few months. The project will support research into the ‘Charging Infrastructure of the Future’. 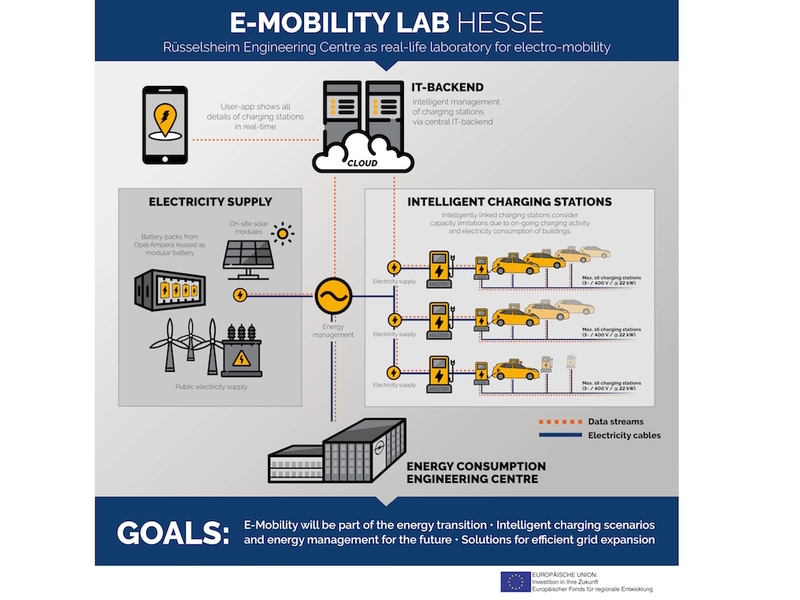 Together with Kassel University and charging infrastructure specialists Flavia IT and Plug’n Charge, Opel will conduct research into the ideal setup of the electricity grid for the future under the three-year ‘E-Mobility-LAB Hessen’ project. 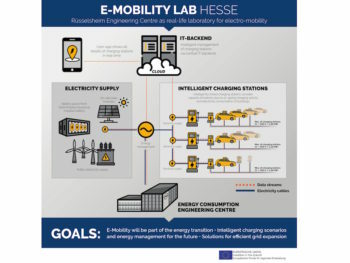 This project will integrate smart charging along with a ‘second-life’ battery storage facility at the Test Center Rodgau-Dudenhofen. This will combine a total of 18 Opel Ampera batteries to temporarily store electricity; according to the carmaker, it has the storage capacity to a supply a four-person household with electricity for a month. Support will be given by the Hessian Ministry for Economy, Energy, Transport and State Development with funds provided by the European Regional Development Fund.